We had a small gremlin interfere with our newsletter timing yesterday and for this we apologise. 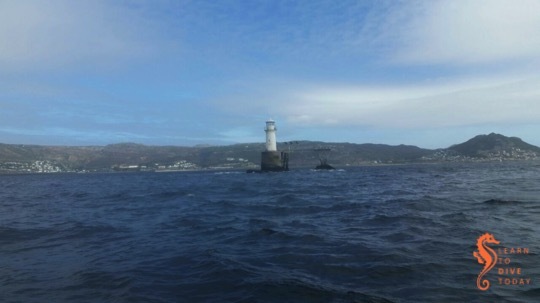 We had decent conditions on Wednesday with dives in the vicinity of Roman Rock. There was a dirty layer on the surface, but underneath there was clear water with visibility of about 12 metres. 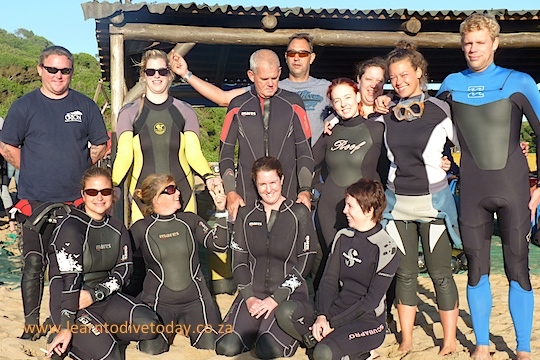 Today we are taking visitors from Port Elizabeth to explore some local dive sites. 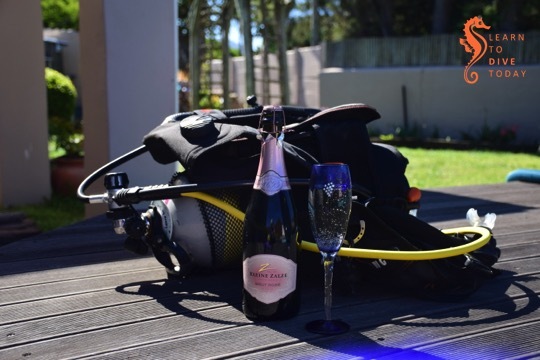 It is the Cape Town Dive Festival this weekend, held at False Bay Yacht Club, so the slipway will be quite busy. 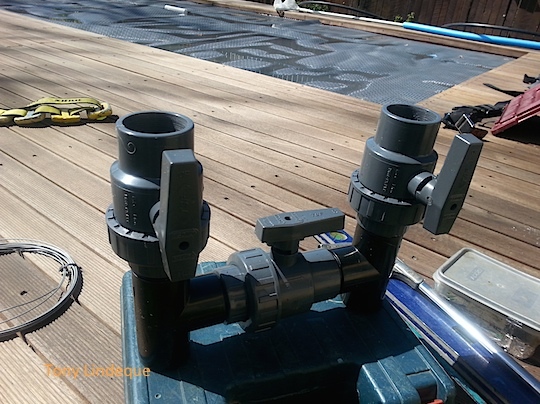 I plan for student pool training on Saturday, shore dives at Long Beach on Sunday (working the students hard) and boat launches on Monday (a glorious public holiday). 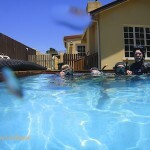 If you are keen for a shore dive on Sunday or want to be kept in the loop about boat dives on Monday, let me know. We had good conditions last week; they held for the weekend and then kept going at the start of this week. 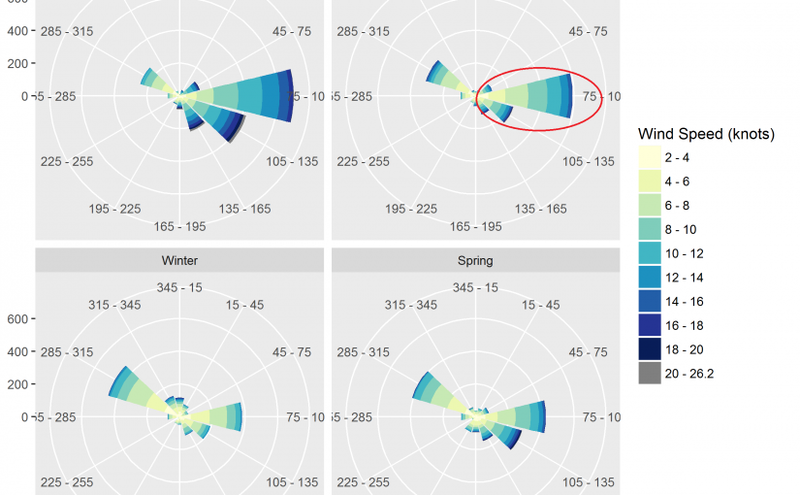 Yesterday and today, however, the viz took a bit of a nosedive and is possibly going to settle into the summer visibility groove of a warm 4- 6 metres, depending on your eyesight. There is very little swell or wind in the forecast which will help. 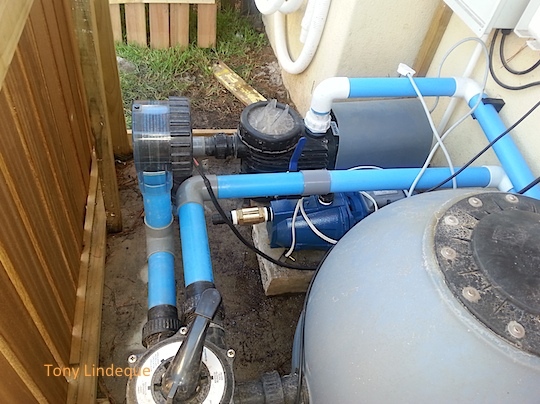 I doubt there will be too much difference between Saturday and Sunday so the plan is as follows: a screechingly early double tank launch on Saturday (6.00 am on the Simon’s Town jetty). On Sunday we will meet for 9.00 am and 11.30 am. The sites will depend on what we find on Saturday. 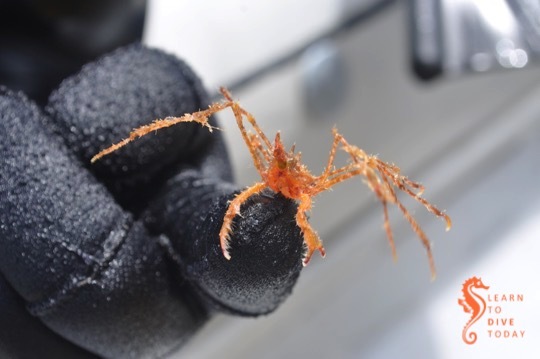 This Cape long-legged spider crab hitched a ride to the surface on one of the divers’ booties this week. Isn’t he a handsome chap? He is back where he belongs! In the month of December until Christmas, we are offering Discover Scuba sessions (try dives) in our pool, free of charge, every Wednesday and Thursday after 3.00 pm. 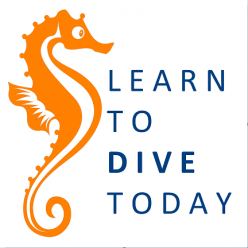 If you have a friend that needs a little persuasion to qualify as your future dive buddy, then bring them along. Booking is essential. Get in touch if you want to reserve a slot. It has been a pool week for me and therefore it will be a student weekend with only a few spaces on the boat for casual divers. The viz however is absolutely stunning in False Bay right now. If you want to join a dive, let me know. 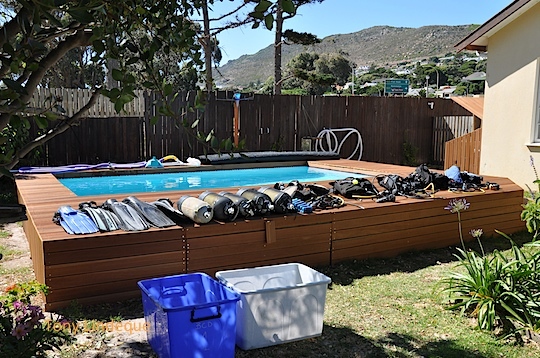 On Saturday we will dive at Long Beach starting at 9.00 am. 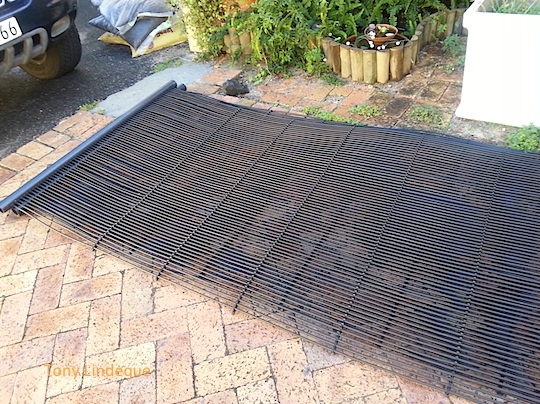 The wind is supposed to blow from around midday so we want to get going early. 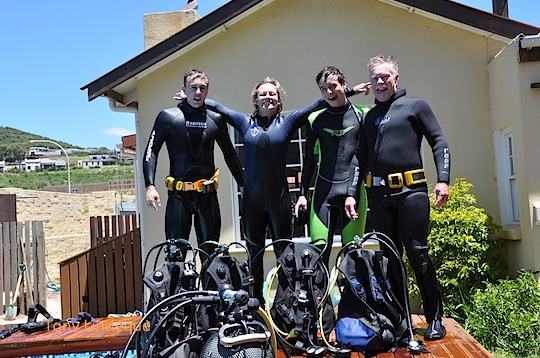 Casual divers are welcome, as long as you can fend for yourself while I take care of students. On Sunday we will do two launches to a destination as yet unknown. My weather god, who I suspect is as real as a unicorn, says if it blows south easterly all night on Saturday, we will launch from Hout Bay. 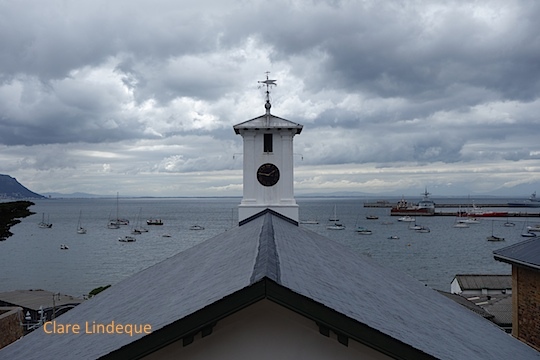 If it does not we will go to False Bay and launch from the jetty in Simon’s Town. It is also forecast, by the same unicorn, to blow relatively hard on Sunday which means we will most likely dive the sheltered sites of the Brunswick wreck, and Ark Rock. 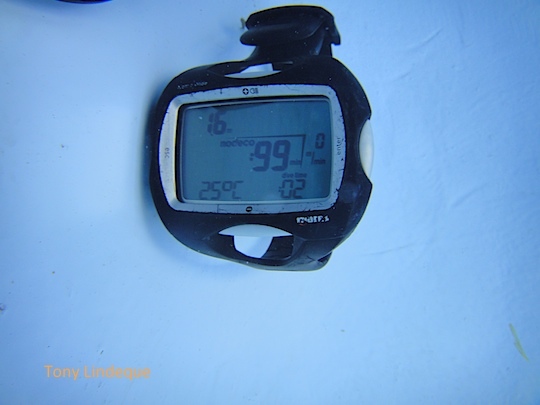 Summer is on its way, it gets busy and warm really quickly and the price of training and diving usually climbs with the thermometer. 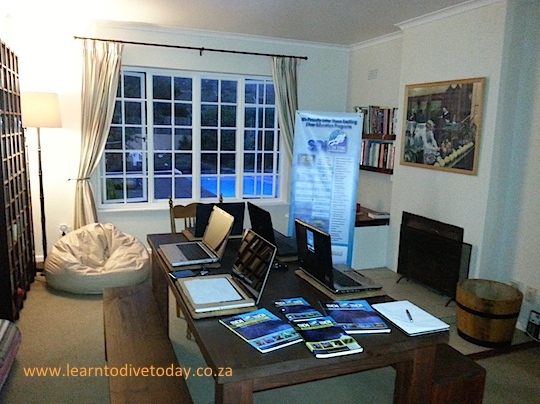 We do offer both PADI and SDI courses but are focusing more on the affordability of online theory with SDI. In the modern world we live in it is no longer essential to purchase a big thick manual when you can have it all on your laptop for a lot less money. If you want more info on any of the courses we offer give me a shout or visit our website. The instruction manual for the Parrot AR.Drone wasn’t kidding when it recommended not to fly the quadcopter in strong winds. Although when Tony lined his one up on our pool deck for a quick demonstration to a friend (he planned to take off to the height of our garden fence and land it immediately), there was only a whisper of a breeze blowing, and conditions seemed perfect for a late afternoon flip. He wasn’t banking on the powerful thermals that build up in the valley where we live, however, and over the sports fields next to our house. As soon as it reached fence height, the drone took off vertically like a rocket, sailing unassisted over the pine trees next to our house and down Kommetjie road. 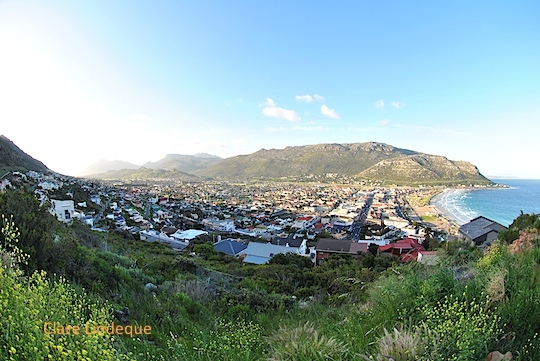 Before it got out of range and stopped transmitting video, it took some tantalisingly brief footage of Fish Hoek, with False Bay in the distance. Fortunately the errant high flier was located resting and askew, by the side of the road, exhausted but undamaged after its adventures. Next time we fly it on a warm day we’ll ask Christo for his (former) paraglider’s expert opinion on the risk of thermal columns in the immediate surroundings! And what a beautiful place we live in, yes? Sunday: Launch from Simon’s Town jetty at 9.30 and 12.00 to Photographer’s Reef and Outer Castle. 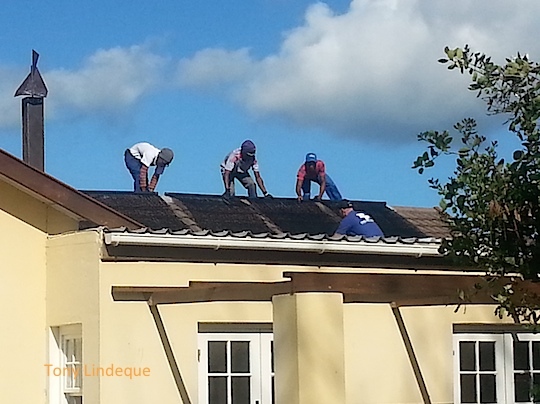 We had a really great trip to Sodwana with a bunch of really great and lively people. Good diving, lots of laughs and many compromising photos. There are some photos on facebook, here and here. 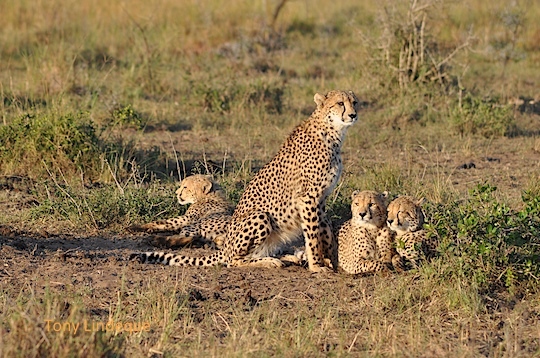 After Sodwana we headed to the KZN bush to enjoy another passion we share, wildlife. Very few moments in life are a special as the time you spend up close to a wild animal in its natural environment. We got home late on Friday night and were up with the sparrows on Saturday to provide boat support for the Freedom Swim, a 7.5 kilometre open water swim from Robben Island to Big Bay in Blouberg. You will recall that Saturday was a beautiful day, so we had a great time out on the water. There is an album of photos from Saturday on facebook – check it out – Clare thinks it’s not getting enough love! 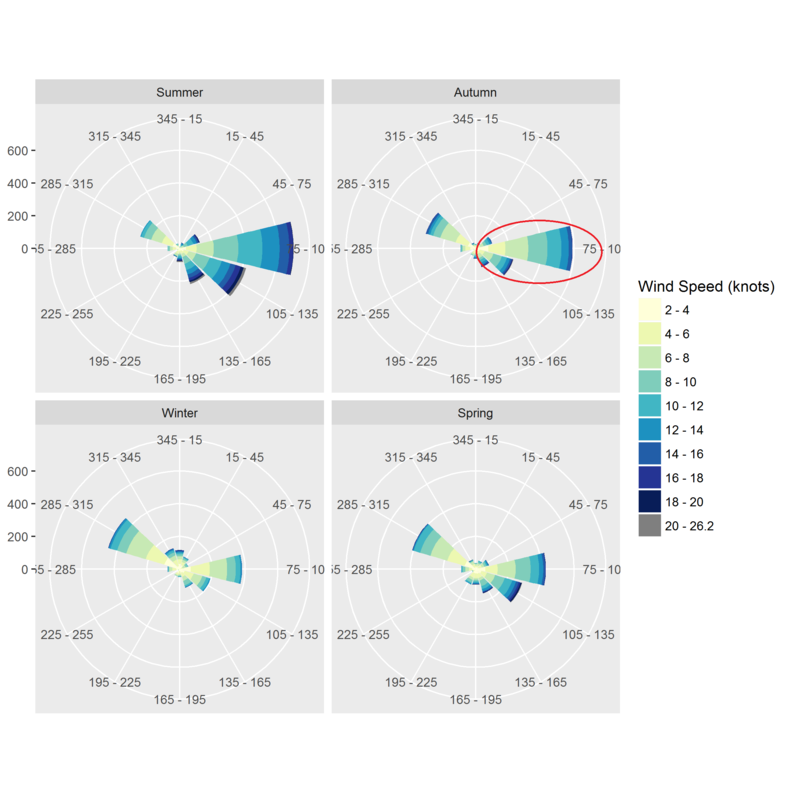 The weather for this weekend all seems to hinge on today and tomorrow, as the forecasts all predict heavy rain and strong winds. The rain is lashing down right now and a vast amount of the run-off is going to end up in the sea. 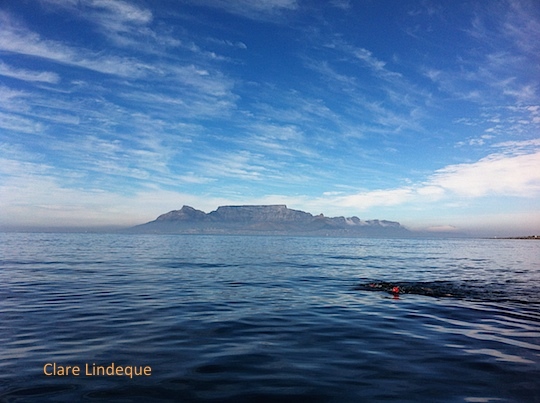 False Bay is clean right now so hopefully this won’t affect the weekend’s visibility too much. It seems the rain and wind might hang around until sometime Saturday plus a 5 metre swell tomorrow drags into Saturday as it drops off, so I think we will opt for the pool and Long Beach on Saturday and launch the boat on Sunday. We will launch from Simon’s Town jetty at 9.30 and 12.00. The plan is to dive Photographer’s Reef and Outer Castle. The MPA police (as I like to call them) have been checking permits so please make sure you have a valid permit. If you don’t, we have temporary permits available, for R45 each, and they are valid for one month, but it’s more cost effective to get a full year’s permit at the post office. 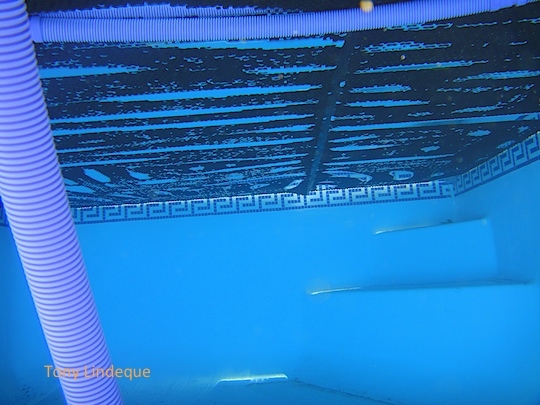 Our pool is five by three metres, and just under two metres deep at the deep end. We’ve had a number of students that have come to do their confined water skills, but in December we had two firsts: four students at the same time, and all of them were related. 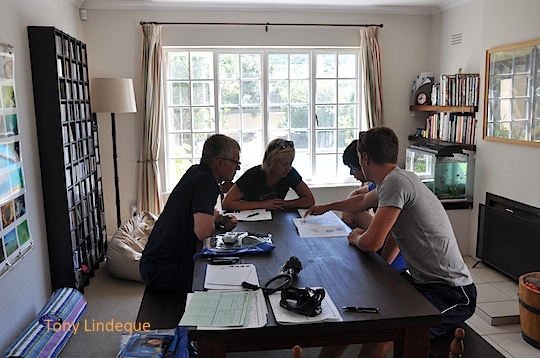 The three Carstens children were doing a PADI Open Water course, and their old man was doing a Refresher. Not only did all of us fit in the pool at the same time for the basic skills (with me towards the shallow end and the family in the deep end), but we had an awesome time of it. It’s been great having the pool on site. The pool we used to use sometimes had water clarity issues, and there certainly wasn’t the option of popping inside for a cup of coffee and some theory work. 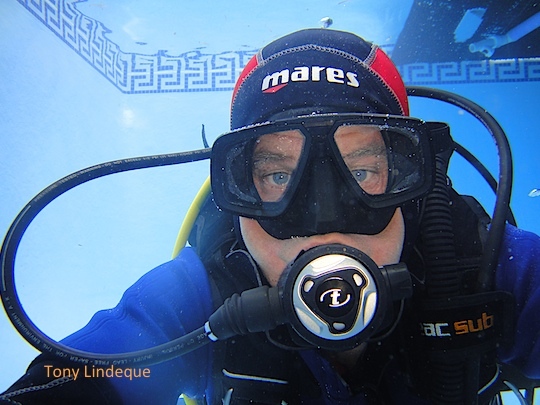 Tony got a new 5 millimetre Mares Pioneer wetsuit to replace his Flexa 8-6-5, which was getting a bit long in the tooth. When I was clearing photos off my old underwater camera, I found this little photo shoot, in which he appears to have been testing his gear in our swimming pool… Under the pool cover. The water temperature was a sweet 25 degrees, according to the Mares Nemo Wide.